Photo obtained courtesy of Sign Post Music. Former Crash Test Dummies and Doc Walker guitarist Murray Pulver has been a prominent figure in the Winnipeg music scene for decades. The Guest List provides Pulver an opportunity to highlight the diverse work he has done over the years by collaborating with a different musician on each tune. Pulver’s impressive range is not just vocal, but also in genres. From the funk, horn-filled “Ego Spank” to the haunting collaboration with local alt-country outfit The Bros. Landreth – for whom he produced a Juno-winning album – The Guest List highlights both Pulver’s talent and the talent of the musicians he has worked with. It is an energetic album that will leave any music lover smiling. The collaboration with Brad Roberts of the Crash Test Dummies sticks out on the album with Roberts’ deep, signature voice, and angry energy. The prairie tone of J.D. Edwards is another highlight on the album. “Back to You” features his strong, raspy vocals alongside twanging instrumentals that flow together. Other artists featured on the album are J.P. Hoe, Steve Bell, Chris Thorsteinson of Doc Walker, and even Kids of the Hall alumnus Kevin McDonald. Despite the eclectic mix of artists, the album has a weird coherence. 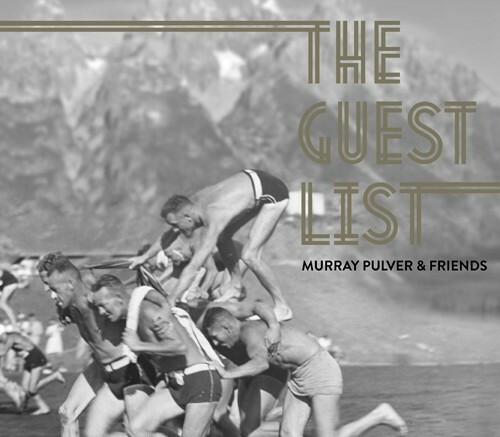 Murray Pulver and his friends hold The Guest List together in a dynamic way. It’s like you invited just the right combination of people to a party, and it’s a swinging success.